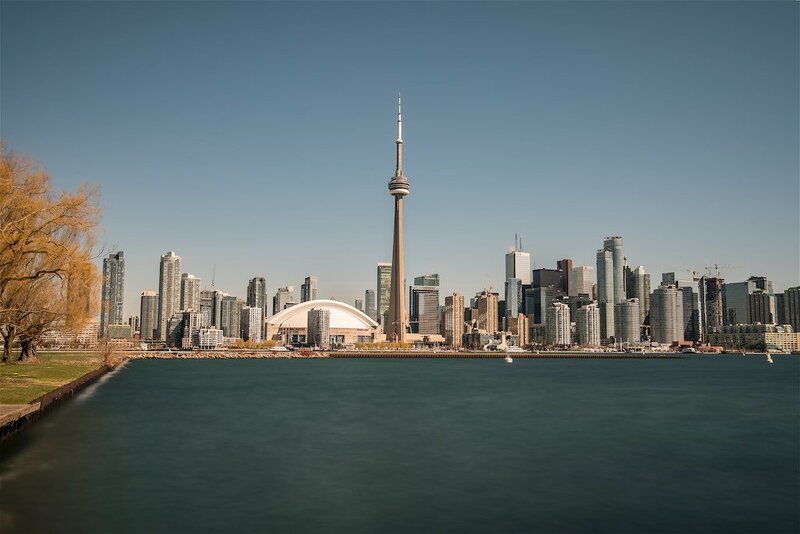 The entire Toronto Skyline is visible from several vantage points and some of the best places to shoot the Toronto Skyline are from Polson Pier or the Toronto Islands. 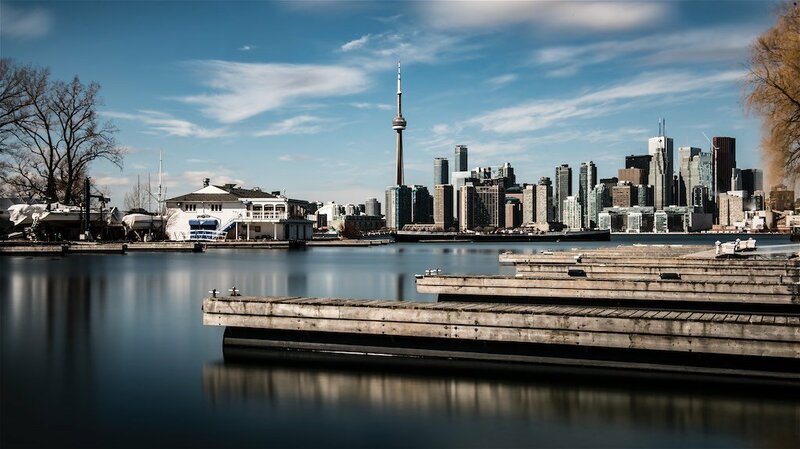 The most popular place to photograph the skyline is at Polson Pier which is situated near the end of Cherry Street. Be careful about parking there; after 6PM weekdays and 12 noon on weekends can get you a ticket! On many evenings, many photographer congregate to shoot the Toronto skyline in its opulence. Those with smartphones also take photographs ther. They’re usually the ones that are throwing their fast food packaging about. They also make the most noise and are very irritating! 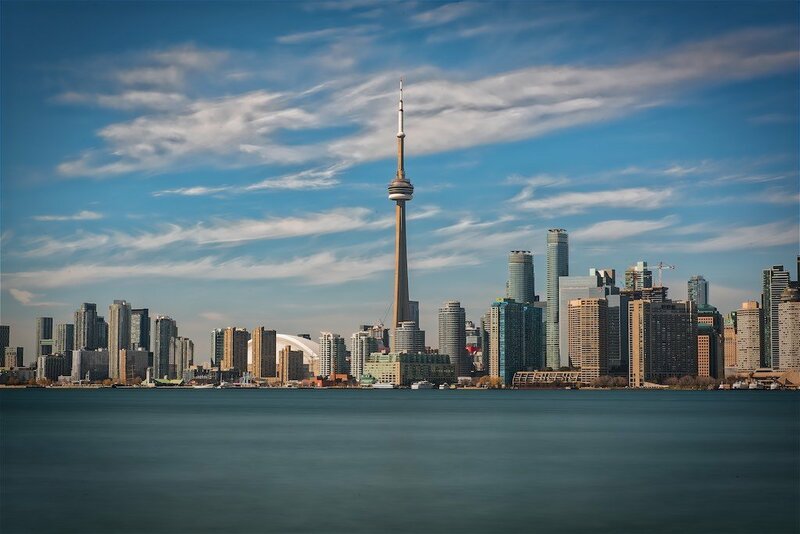 While Polson Pier is very popular, I think the best views of the Toronto Skyline is from the Toronto Islands. 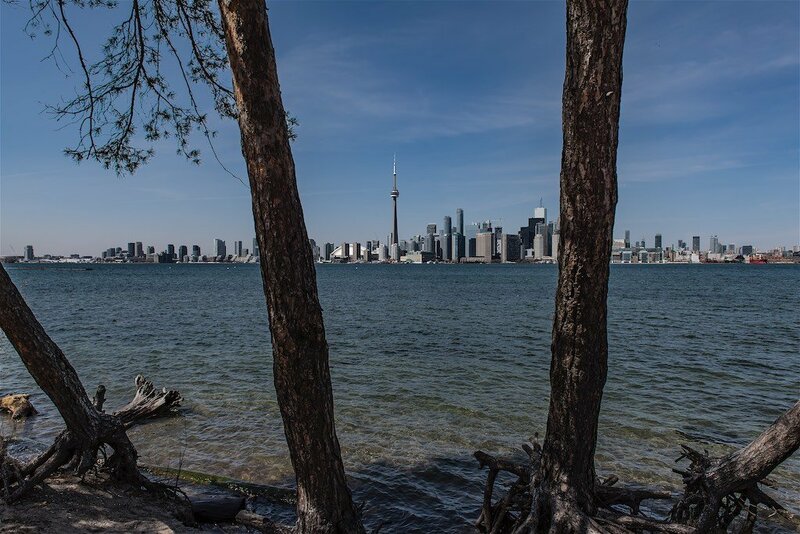 There are many interesting vantage points to photograph the skyline – starting at Hanlan’s Point. 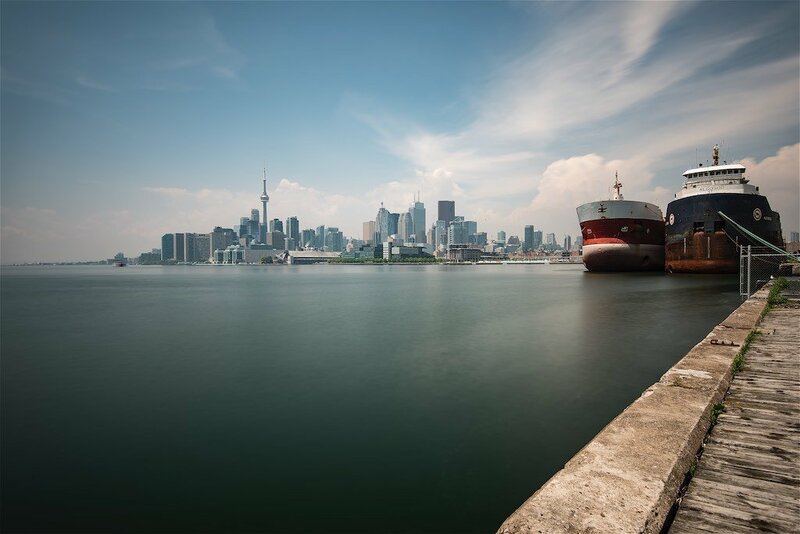 As you walk (or bike) eastward from Hanlan’s Point, you get contrasting perspectives of the city. Make sure you have comfortable shoes if you go to The Toronto Islands. And watch out for goose droppings as they are abundant near the shorelines. 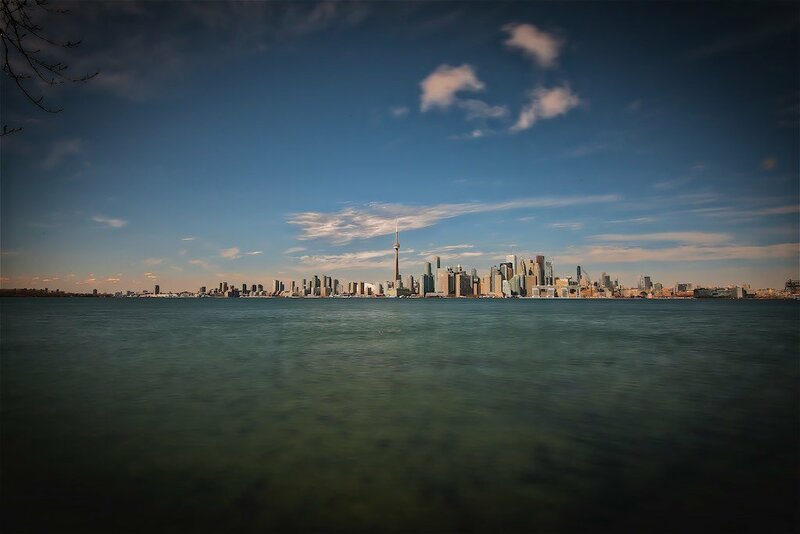 One gets an interesting perspective of the Toronto Skyline from Snake Island. I have been to Snake Island several times but cannot say I saw any snakes. 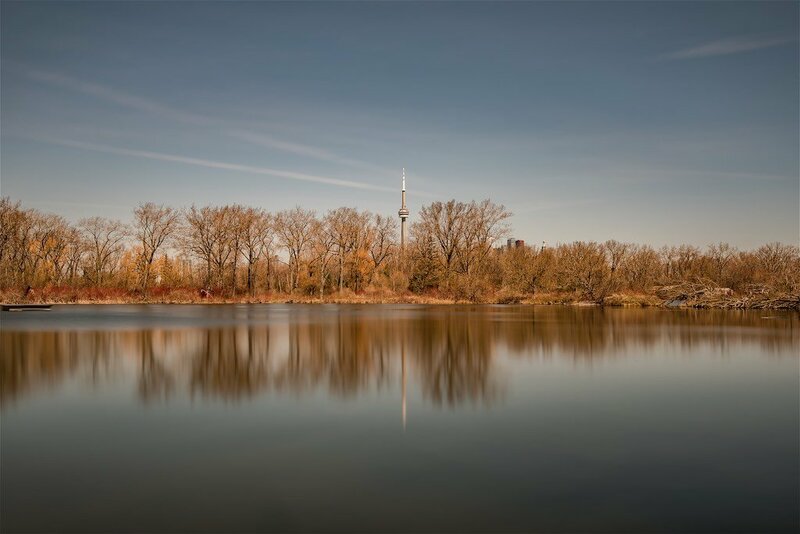 Ward’s Island is also a great place to photograph the Toronto Skyline. This area is inhabited by humans with lovely cottage like homes adorning the small island. Ward’s Island is home to the Royal Canadian Yacht Club where this was taken. One can photograph the skyline from Humber Park as well but the islands and Polson Pier are the best vantage points, in my opinion. 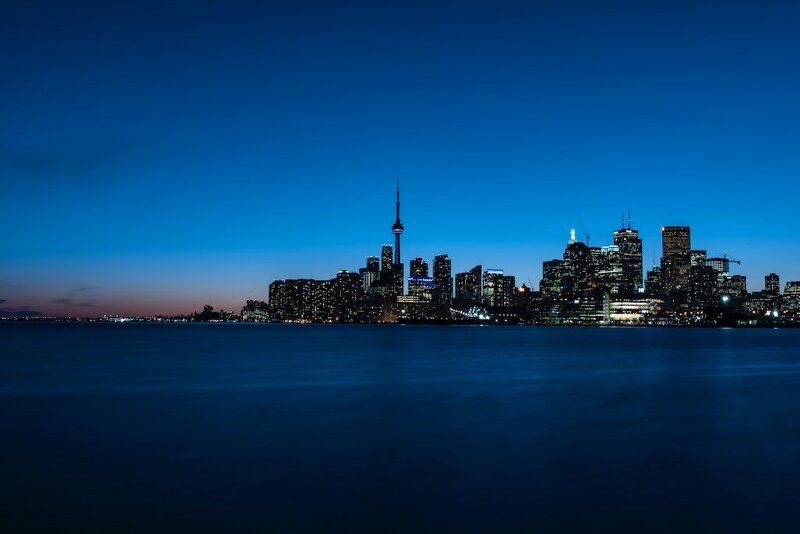 This entry was posted in Architecture, Lake, Skyline, Toronto and tagged Skyline, Toronto, Toronto Skyline.